Review reproduced by kind permission of Mandy Collins (www.spookyisles.com), and Fortean Times (www.forteantimes.com). “Geoff Holder has authored many excellent books on the slightly offbeat, fortean side of Scotland. This one is of equally high quality. 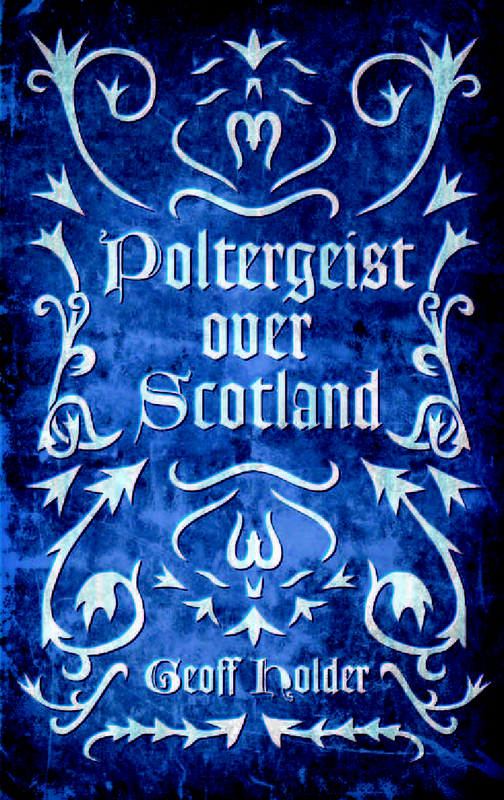 A comprehensive breakdown of Scottish poltergeist cases since the 1600s to the present, it takes the reader on a fascinating journey. Several famous cases are covered in the 134 selected fro the book, including that of Christian Shaw of Bargarran, the young girl who was an alleged victim of possession and psychic attack, eventually leading to the final mass witch-burning on Paisley in 1697. Other cases featured are the Rerrick Poltergeist, Ballechin House, Aleister Crowley’s infamous Boleskine House of Loch Ness and the strange enigma that is the Mackenzie Poltergeist, still haunting Greyfriars Kirkyard in Edinburgh to this day. Holder is not fussy, and includes smaller cases, even if the only information available fills a few lines, for example the odd case where a Highland granny had her tea things thrown about for a few brief moments. There are also cases where the decidedly human origin of ‘polt’ activity is caught. The reasons are quite intriguing; a family feud often at the heart of it. But several are not so easily explained. There is also a bizarre propensity for poltergeists to populate Partick in Glasgow, as some of the more contemporary cases illustrate – perhaps it’s the slightly bohemian air of that neck of the woods. Things have certainly come some way from the days when it was believed an infestation was the result of witchcraft; the dawning of the Enlightenment saw those who used the witch scares to promote religious zealotry gradually lose their tight grip. The fact that there are very few cases featured in the chapter on the 18th century is quite striking, though we see the numbers soar again by the 20th and 21st centuries. However, where psychology and science are key to explaining poltergeists in every other part of Scotland, in the Highlands, folk superstition holds sway, and polts appear to be just another part of life. Other publications tend to make their chosen cases seem somewhat distant owing to a lack of social and historical context. Holder makes his meaningful by explaining the cultural milieu. For the beginner looking to find out more, this is a great introduction. The extensive bibliography and cited sources certainly offer a good idea of where to go next, as many of the classics are mentioned.